Well, this is our last post for our Tulum guide. We hope you are able to visit one day but for now you can live vicariously through our posts. Today we are talking about the places you should visit. This is by no means an exhaustive list, but this is what we personally did and recommend. 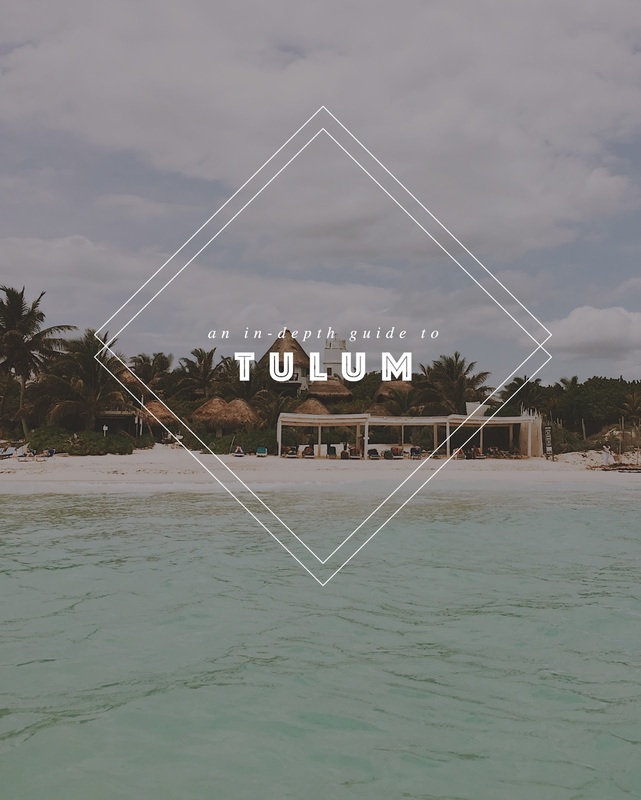 What I love most about Tulum is that there is much more to do than just lay on the beach, but if that's all you want to do- this is the place for that too. Here's a little video of our time there! 1) Go to the beach. Duh. We recommend going to La Zebra beach club even if you are staying somewhere that has beach access. They don't charge you for using their beach club and they have great food and drink options. 2) Visit a cenote. Or two. Or three. Tulum has a plethora of cenotes and picking one to visit can be overwhelming. We visited Casa Cenote and Nicte-ha, but if I had to pick one I would definitely recommend Nicte-ha. There are many other more popular cenotes than Nicte-ha but that is what we loved this most- that it wasn't crowded. When we went, we had the whole place to ourselves. We read about all the different cenotes online, and we kept seeing people talking about how you needed to go really early because they get so crowded. Also, they do charge an entry fee but the fee was small (I think it was around $5/person) but it was less expensive than other cenotes. This is Casa Cenote where you can kayak down the channel. Casa Cenote is long rather than being one giant opening like most cenotes are. I will say that Casa Cenote was not as pretty as Nicte-ha and renting the kayaks cost a little more than we expected (I can't remember how much we ended up paying). 3) Visit Soliman Bay. We heard of Soliman Bay from one of servers at El Pez. He was also the one who recommended that we visit Casa Cenote + Nicte-ha. You get to Soliman Bay by turning down this one lane road that you drive down for a while, and you also have to go through a guard, but just tell them you are going to Chamico's. You will then pass by a bunch of beautiful homes. The road dead ends into this area that just looks like a bunch of trees on sand. What is tucked away in those trees is a restaurant called Chamico's that is located right on Soliman Bay. The restaurant is very casual but the food is very good. You can buy cold coconuts and drink the water right out of them. The bay had a large sandbar so you could walk out far into the ocean. Soliman Bay is about a 20-30 minute drive from where we were staying but visiting was well worth the drive. This is my highest recommendation of places to visit. 4) Lay in a hammock. You've got to go somewhere there are hammocks and you must spend at least an hour laying in one. There is something magical about being by the ocean and swaying back and forth in a hammock. It is good for the soul. Luckily you won't have any trouble finding hammocks. Coco Tulum where stayed had them right on the beach. Chamico's had plenty of hammocks as well. 5) Watch a sunrise. Savannah and I are not early risers. I can't remember the last time we saw the sunrise in America. You must watch the sunrise in Tulum, and our birdie friends made sure we never missed one. Watching the sunrise over the ocean is spiritual and helps you remember all the beauty that God has surrounded us with. Sunrises and sunsets can put life back into order. 6) Take a day trip to Valladolid. We stayed in Tulum for an entire week, so we felt like taking a day trip to another city was okay. 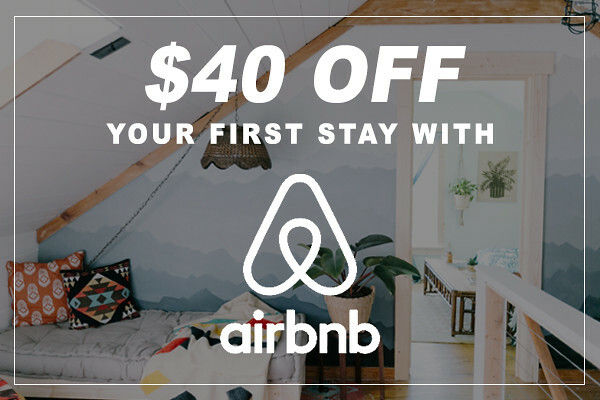 If you are staying for less than a week in Tulum, you may not want to take this trip. The drive from Tulum to Valladolid is about 2 hours and we are so glad we made the trip. Our biggest regret was not going on a different day. We went on a Sunday so several shops were closed. Valladolid has this old world vibe and it is completely different from Tulum. Savannah and I ate street tacos and fresh mango juice for basically no money. 7) Buy goods from the local artisans. In the town of Tulum there are several local artisans but the best place for local artisans is on the drive to Valladolid. Even if you don't take the whole trip there, drive in that direction to see all the local artisans on the side of the road. We came across this stand that sold dream catchers and we were able to watch them being made. We had a hard time picking only one to buy. We would have bought many more but we didn't have enough room in our suitcase. This is also where we found authentic street corn. It was delicious, of course. 8) Spend time in the town of Tulum. As we've mentioned before there are 2 main parts of Tulum- the beach/jungle side and the town side. Just spending time on the beach/jungle side is tempting but the town of Tulum is so amazing. There are tons of shops (where you can haggle for good deals) and bars and restaurants. At night this section pictured above is lively and full of people walking in the streets. Thank you for staying tuned for all four parts of this guide! If you missed the others you can visit them here- Part 1 / Part 2 / Part 3. If you enjoyed this guide, please Pin it on Pinterest or share with others! Love this! You write about places the same way I think about experiences in my head. Absolutely great content ladies!